We’ve launched this blog only two months ago, so we’re basically in what you could call “beta” phase. Things are subject to testing and revision. As part of these revisions we decided to change Some Exciting Examples Modular Music into this new series called Chosen Waves. We didn’t just change the name, we also tweaked the concept a bit: we’ll usually feature only one track/video at a time and in exchange for that we’ll hopefully post more often. Sometimes we might add a little interview. amnésie is the solo project of Wilfried Thierry. It began back in 2001 with lecollectif17ans a noisy and iconoclast crew. At that time he released some tracks on various compilations (Skam, Idwet) and won an Autechre remix contest. He then joined Ego Twister Records and released his first EP, Redken Style. After that he released many tracks and remixes on various compilations, mixing weird electro and ironic vocals. Now he’s back to what he loves most : mixing noise influences with electro, digging into synthesis using his modular synth. This one is been sitting in my bookmarks for a long time and I keep getting back at it again and again. As you can see from the photo he performed this live with a lot of modular gear. The recording spans over 45 minutes and is a dense, brooding mix of distorted basses, noisy sounds and electro/techno beats. It’s one of those immersive and hypnotic sound voyages, best enjoyed in the dark, late at night. I suggest you listen to it in one go. Without spoilering too much, the best part comes at the very end, but how you get there might strongly influence its effectiveness, so don’t rush it. 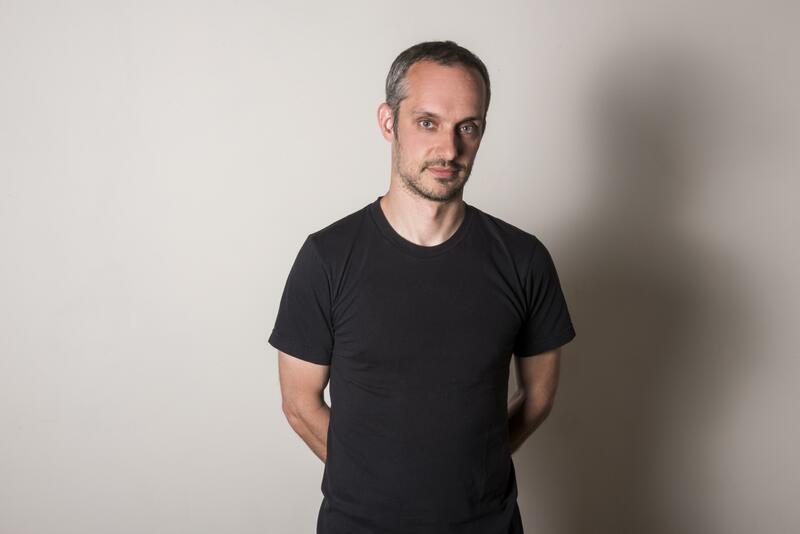 We couldn’t help but get in touch with Wilfried Thierry and ask him a couple of questions about his music and his approach to live modular performances. Horizontalpitch: I know from personal experience that performing live with a modular synth can be a tricky thing to do. How do you approach this? Wilfried Thierry: Yes it’s tricky, but I prefer things that are not 100% perfect but really done live. I’ve played electronic music for years and the modular is the first instrument that gave me a total freedom and control over everything. I’ve had a duo with Yan [from Ego Twister Records, Ed. ], called FUTUR and I experimented with him the use of modular on stage. We played improvised music, and as we were two, it was simpler for me to start this way. You can find on youtube a video in Le temps machine [Youtube link, Ed.]. The sound is also very important to me. I’ve been using analog synths on stage for more than 10 years. I don’t want to cheat the audience with fake analog sounds coming from a computer. I feel more like a live guy than a studio one and want to use instruments that inspire me. HP: The complicated thing might seem the inability to store settings or patches, which you can just recall during a live performance. Do you start with a patch and then work on that or do you have more “configurations” prepared and then just switch between those? WT: Well that’s not a problem for me. My patch is mostly prepared and I can switch between different parts of the patch when I need different elements. But I also patch live when necessary. I rehearse a lot so that everything is under control, I know my instrument by heart, that doesn’t seem more complicated to me than when I play guitar. HP: What else do you use in combination with the modular? Or is it just the modular? WT: When playing with amnésie, I use my modular and a DSI Mopho X4 for chords. That’s all. I’ve built my modular as an advanced “groovebox”. I just sometimes regret I don’t have a third hand !! HP: Final question, what’s your favourite module? 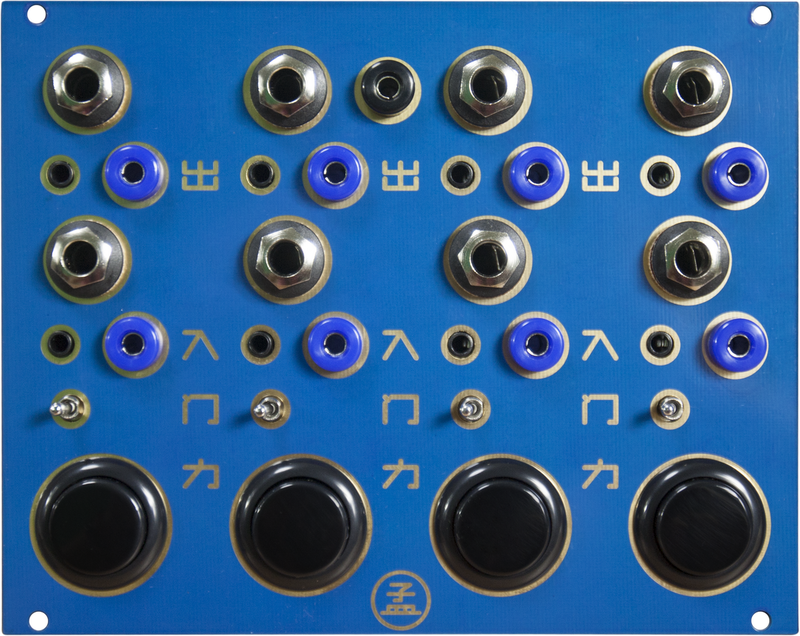 WT: My favourite module is the one that led me to eurorack : Make Noise René. It’s the first one I bought and I still love it as day one. Using it live is really great. For amnésie I have programmed two scales that I play in many different ways, I don’t know any other tools as versatile (except a very old MiDi sequencer I used when reedited by Cycling 74 : M). So that’s it for today’s Chosen Waves, we might talk a little bit more with Wilfried Thierry about his music and modular synths in the future. In the meantime, if you have tracks or videos you’d like to share with us, leave a comment below or send us an email using the link on top of the page!